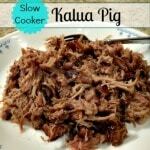 Slow Cooker Kalua Pig – an ARM family favorite! Just 3 ingredients, 5 minutes of prep and your slow cooker does the rest of the work. My family’s first experience with Kalua Pig was at a luau on Kauai. As much as we enjoyed the entertainment, the food was the star of the show. Prior to the feast, we enjoyed a traditional Imu ceremony. It was fascinating to hear about the tradition behind this amazing main course. From digging the imu pit to wrapping the whole pig in ti leaves and slow cooking it for hours, it is a labor of love. Check out How to Build an Imu if you are interested in more information. And the aroma? Mouth watering doesn’t even begin to describe it! My meat-loving Boy (about 5 at the time) immediately became obsessed with pig. He wanted big plates of pig with every meal. And who can blame him? The meat is melt-in-your-mouth tender and the flavor is out of this world. Just the right amount of savory and smokiness. While I would like to say my Slow Cooker Kalua Pig tastes the same as the pig we enjoyed on Kauai, it really isn’t (just being honest). I don’t have an imu pit, nor do I have access to ti leaves. Seriously, nothing is going to taste like the real deal unless it has been authentically cooked and you are eating it in a tropical environment. The taste of this version is similar enough for us land-locked people to reminisce about those lazy, warm tropical days, though. My version of Kalua Pig has just 3 ingredients – pork shoulder roast, liquid smoke and coarse salt. I recommend using Hawaiian salt for best results. After piercing the roast with a knife, add the salt and rub it into the meat. You will need to plan ahead due to the extended cooking time. You’ll get best result setting your slow cooker on Low and letting it do it’s thing. You don’t want to skimp on the cooking time – it’s what makes the meat so tender. I promise it’s worth the wait. 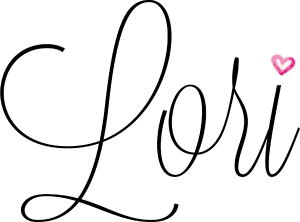 A shoulder roast can be a large cut of meat (around 10+ pounds). If you can’t locate a smaller roast, ask the meat department to cut a larger roast in half. Repackage it into 2 roasts when you get home. Toss one in the freezer for future use. This recipe makes quite a bit of meat. And that means……leftovers! The leftover Kalua Pig can be used to make BBQ sandwiches (just add your favorite BBQ sauce), tacos, enchiladas, main dish salads or any recipe requiring shredded meat. Slow Cooker Kalua Pig is a great choice if you need to make a main dish to feed a large group (team dinners, potlucks, etc.). I have also frozen the cooked, shredded meat with good results. It will be good for 1 month. Have you ever eaten Kalua Pig? An ARM family favorite! Just 3 ingredients, 5 minutes of prep and your slow cooker does the rest of the work. Using a sharp knife, pierce the roast about 5-7 times. 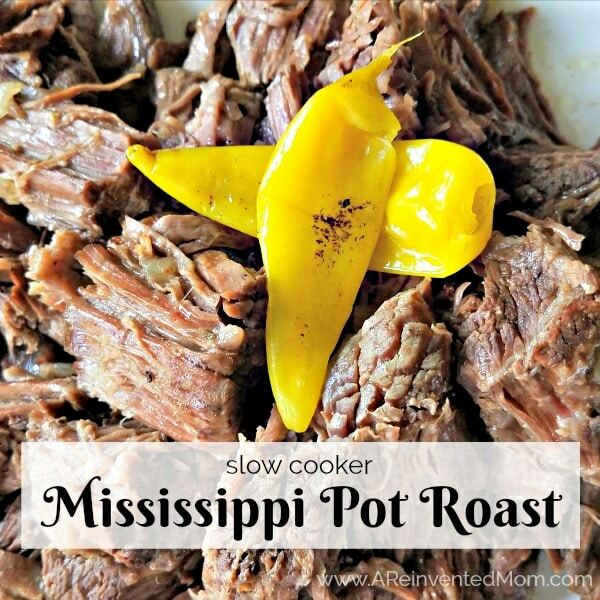 Place in slow cooker (you will want to use a 6 qt. 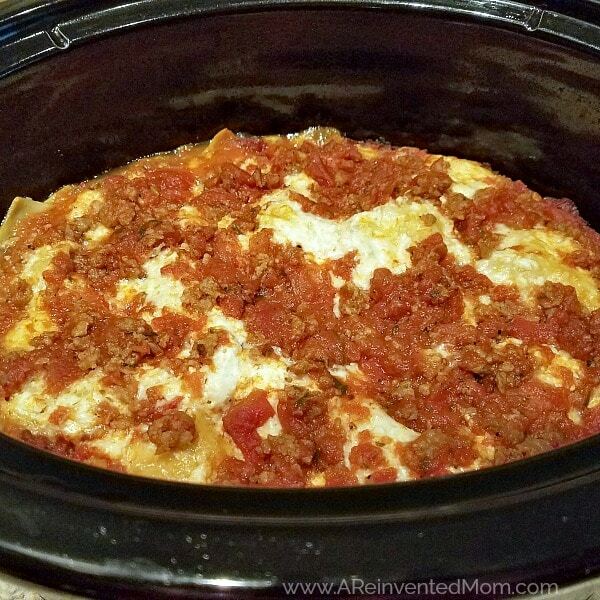 slow cooker for this recipe). Sprinkle salt on roast and massage it into the meat. Pour Liquid Smoke on top of roast. Cook for approximately 12-15 hours on the Low setting. Mine usually takes about 13 hours. Remove roast from the slow cooker and shred with two forks. Add some of the cooking liquid to the shredded meat if needed. Cooking time will vary based on your particular slow cooker performance. Shredded meat can be frozen for 1 month. 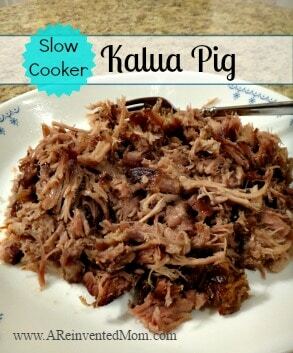 Use leftover Kalua Pig for BBQ sandwiches, quesadillas, tacos, enchiladas and salads. I visited Kauai years ago and did a very big hike that left me very hungry for Kalua Pig. Pinned your great simple recipe. Thanks for bringing this by Weekend Bites. Kauai is one of my favorite places on Earth – simply beautiful & I love the laidback feeling. Thanks for stopping by, Diane! What a great recipe just packed with flavor. Hope you are having a great day and thanks so much for sharing this awesome post with Full Plate Thursday. Thanks for the invitation, Teri!